This Sugar free Vanilla cupcake recipe is the perfect Keto and low carb vanilla cupcake, that has the perfect cupcake texture and perfect vanilla flavor. 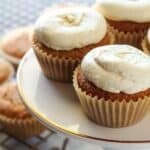 These keto cupcakes go perfect with the sugar-free buttercream frosting! If you were worried that you cannot have a cupcake well-eating keto and low-carb you are going to love this keto vanilla cupcake recipe. 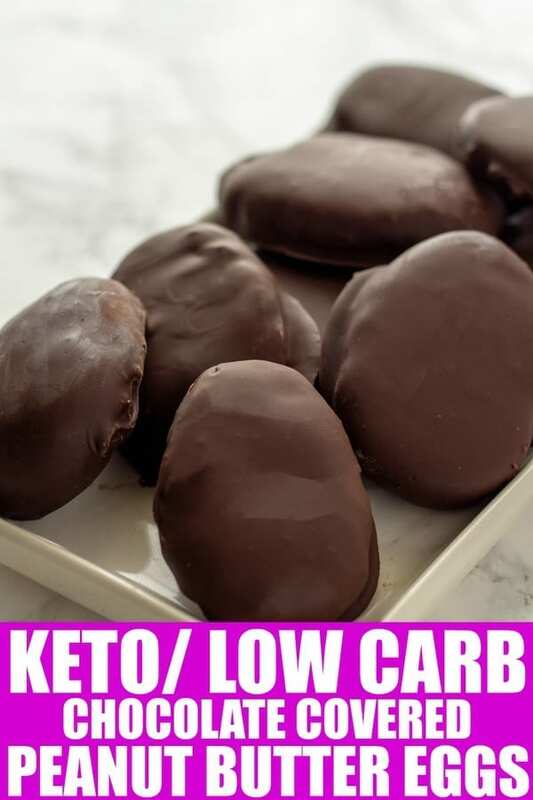 This keto cupcake recipe is the perfect consistency of a cupcake and is made with almond flour and coconut flour to keep it low carb. 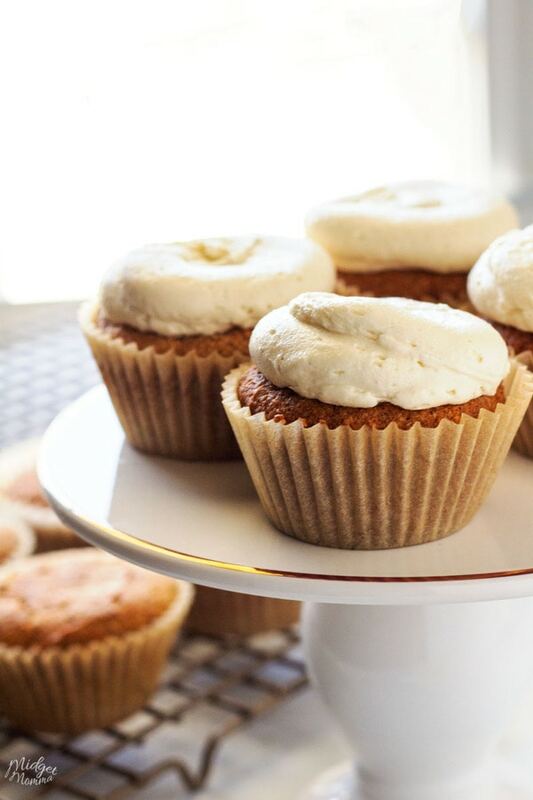 These keto vanilla cupcakes can be topped with your favorite low-carb frosting. Personally, I like vanilla cupcakes with keto chocolate frosting but you can also use keto vanilla frosting. Be sure to check out our keto vanilla buttercream frosting and keto chocolate buttercream for two tasty keto frosting recipes. 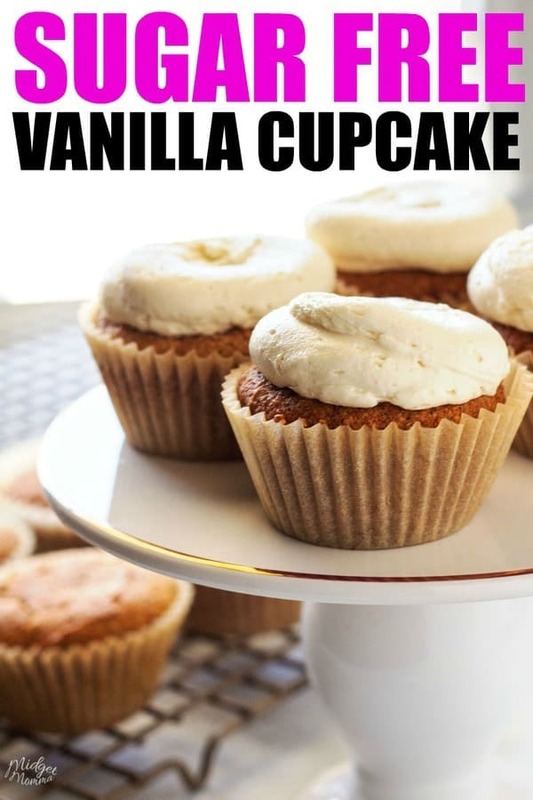 This low carb vanilla cupcake recipe will make 24 cupcakes. This is the perfect amount of keto cupcakes to make for a party. 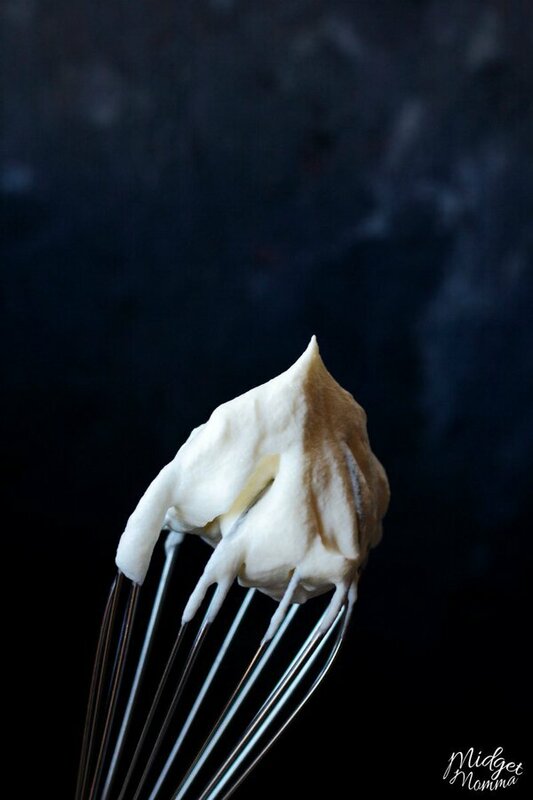 You can use this sugar-free vanilla buttercream frosting (make a double batch) and use if for your cupcakes. You will need coconut flour and almond flour. 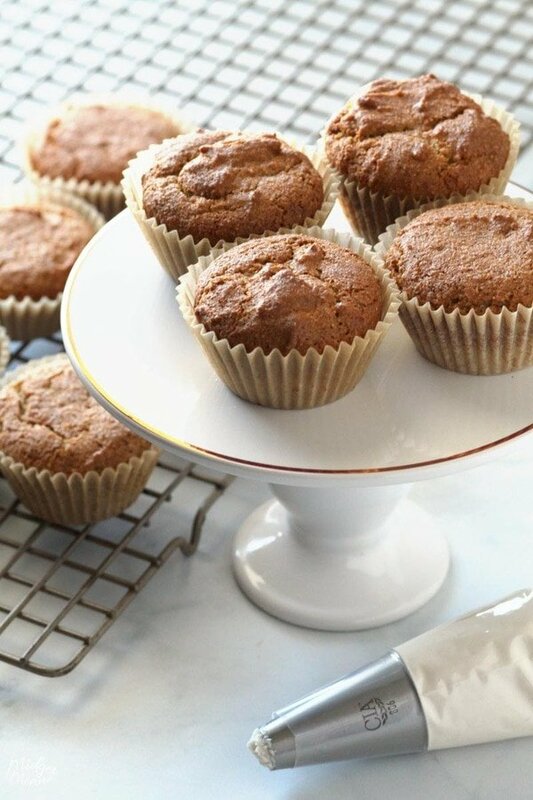 Personally, I stick with the Bob’s Red Mill Super-Fine Natural Almond Flour and the Bob’s Red Mill Organic Coconut Flour however you can use your favorite brand when you are making these cupcakes. It is also very important that your eggs, egg whites, and heavy cream are room temperature when you make these sugar free vanilla cupcakes. For these cupcakes, I used stevia and liquid stevia. If you are not a fan of stevia then you can use Lakanto Liquid Monkfruit Sweetener and Lakanto Monkfruit Sweetener instead. I also much prefer to use homemade vanilla then the store bought vanilla extract that you get in the store whenever I am baking. 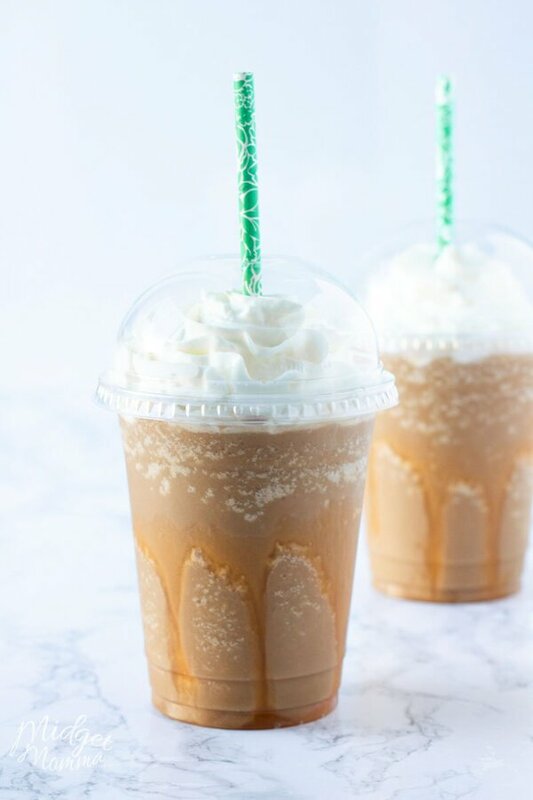 This recipe is inspired by the Keto Vanilla Cupcake from Low Carb Inspirations. We did make some adjustments to the baking time (we baked them for 18 minutes instead of 25) and adjusted the recipe to make 24 cupcakes. The original recipe calls for Himalayan Pink Salt, I didn’t have any and I used regular salt. To scoop the cupcake batter into the cupcake holders, the recommend using a plastic bag and piping the cupcake batter into the cupcake liners. For me personally I like using a cookie scoop, I find it easier and didn’t even try their method of filling the cupcake liners. Check out the recipe here for how to bake them if you are wanting to make a smaller batch of cupcakes. This Sugar free Vanilla cupcake recipe is the perfect Keto and low carb vanilla cupcake, that has the perfect cupcake texture and perfect vanilla flavor. In a mixing bowl mix the almond flour and coconut flour till mixed well. Next add in the baking soda, baking powder, xanthan gum and salt. Set the bowl aside. In another mixing bowl mix the butter and the granulated stevia with a hand mixer. Once your butter and granulated stevia are mixed well, add in your eggs and egg whites one at a time. Mix well with your hand mixer. 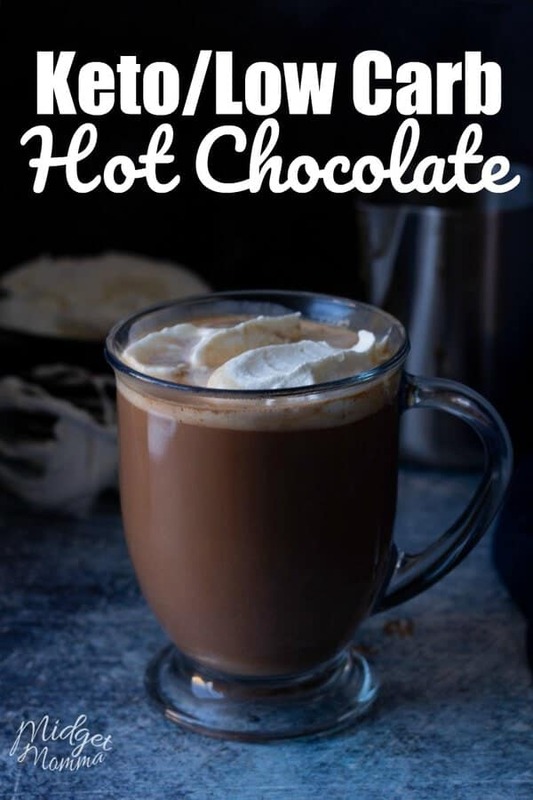 Add in your heavy cream to the egg, butter, and granulated stevia mixture and give it a little bit of mixing. Then add in the apple cider vinegar and give it a little mixing. Add in the vanilla and give it a little bit more mixing. Add in the liquid stevia and give it a little more mixing. Make sure everything is mixed well. Slowly add the dry ingredients into the wet mixture. Do NOT over mix. Using a cookie scoop, fill each of the 24 cupcake liners with the cupcake batter. Bake at 350 for 18-20 minutes. Check them at the 18-minute mark with a toothpick to see if they are cooked. The toothpick will come out clean if they are. If they are not cooked all the way thru put them back in for 2 minutes. It is VERY important not to overbake these cupcakes, so once you get close to the end of the cooking time you want to make sure you get them out of the oven. Allow the cupcakes to cool for 15-20 minutes before frosting them. 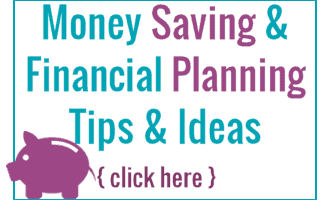 Looking for more Sugar Free Keto, Low Carb and Sugar Free recipes? Check these out! Be sure to check out the other Restaurant Guides!